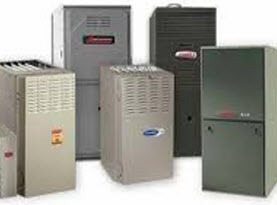 Air conditioners are a great commodity in any home or business. They provide you with cooler temperatures when the summer heat strikes and the humidity reaches discomfort. The A/C truly makes the unbearable become tolerable. But alas, like anything, wear and tear ensues and the air conditioner eventually needs repair. 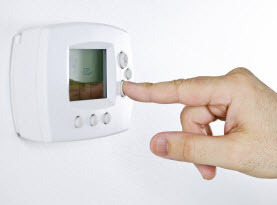 With Ambient Heating & Air Conditioning servicing the Hampshire and Hamden County, Massachusetts area, local businesses and residential homes are in capable hands with our air conditioning repair services, including 24/7 emergency responses. 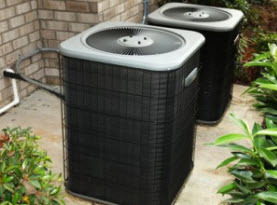 Our professionals at Ambient Heating & Air Conditioning have been expertly trained and certified in the models of air conditioners found around Massachusetts to ensure they are properly repaired and efficiently serviceable. We utilize top of the line equipment, tools and supplies along with high quality products to give our clients beyond satisfactory repairs. –	Faulty wiring, often done by an untrained hanyman is a major concern. Bad wiring can prevent the unit from getting sufficient power or by tripping the circuit breaker often. Not only is this issue keeping the air conditioning unit from top performance, but it is a safety hazard as fires can easily ignite. Ambient Heating & Air Conditioning technicians can inspect the wiring, if there is a problem, talented and knowledgeable crew members will repair the wiring, and any problems the faulty wiring induced. –	Low or no refrigerant. The Freon or refrigerant is the chemical needed to cool the air the air conditioning unit produces. Decreased levels of refrigerant could be experiencing leaks or a Freon problem. Leaks need to be repaired as soon as possible. 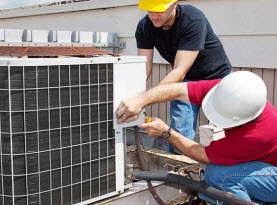 With our experienced team of experts, Freon dilemmas are repaired for smooth operation. –	Exterior air conditioning unit is experiencing malfunctions. The fans primary function is to convey the heat from the home or business to the outside air. With the fan not in working order, the proper heat transfer will not take place and the air conditioning unit’s compressor could over heat, potentially setting the safety overload. Internal damage could also be inflicted to the compressor if the problem persists. If the fan isn’t the cause, the thermostat could be the result in power issues. When the exterior air conditioning unit is not up to par, Ambient Heating & Air Conditioning has the specialists on the case, to determine the problem and repair the unit. –	Frozen coils are another common problem found in many cases. Insufficient air flow is generally the cause of frozen coils. Filthy filters, obstructed air ducts, or reduced levels of refrigerant are contributing factors to frozen coils. Our pros are trained to use appropriate methods and techniques to locate and find the problems concerned with frozen coils.